Looking back at 2013, I can say that never before has there been a year with so many ups and downs as this one. There are both good and bad moments every year, but in 2013 the oscillations between the ups and downs were really huge. But now, at the end of the year, I'm going to leave behind all those disturbing, terrifying and utterly devastating moments, along with all those failures and disappointments and take stock of the good moments only, of achievements, of successes which will hopefully continue in 2014 as well. 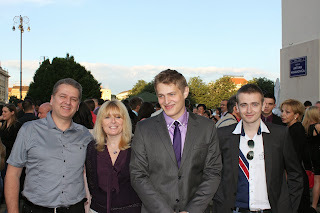 1) Academically, it's been a terrific year - my husband got his Masters, my older son is just about to get his Bachelor's and will continue to pursue his Masters and my younger son enrolled at college. And I got a grant for a year-long ELA - eLearning Academy by CARNet, so this year I'm a student again - studying about e-learning and pedagogy, writing papers about it and getting grades for my work! 2) We travelled a lot - on stand by, of course. We stepped on a new continent - South America. We visited Rio de Janeiro and were impressed with the beauty of this unique city. The second long-haul flight of 2013 was to Chicago, a city that made a really huge impression on me, with its stunning skyline, the Millenium Park, the Navy Pier, the Mag Mile, the Willis Tower and the outstanding Indians on Horseback by Ivan Mestrovic, a famous Croatian sculptor. 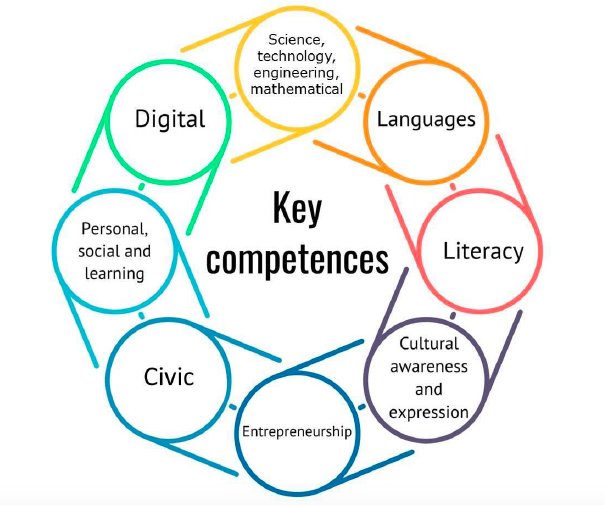 3) I also travelled to Valencia for a Comenius visit, which marked the end of a successful Comenius project that I was coordinating at my school and that connected teachers and students from 8 countries. 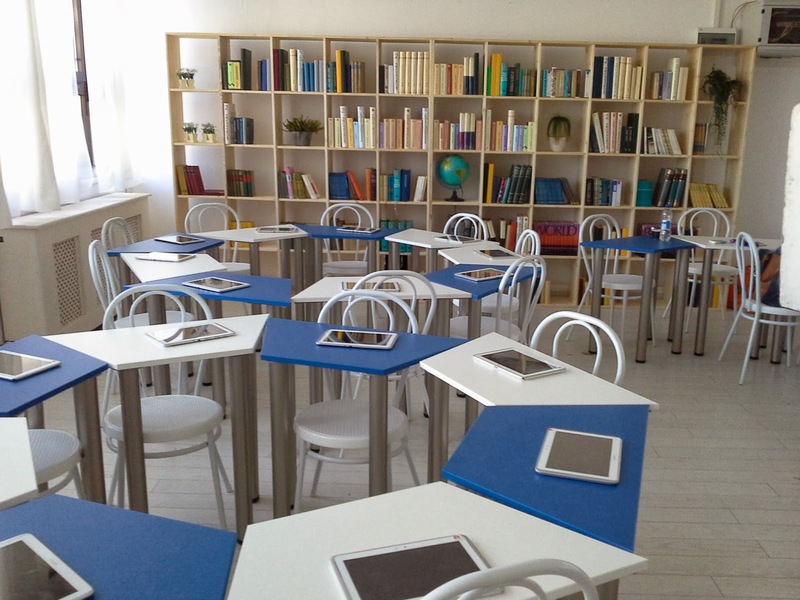 4) At my school we opened the Croatian Future Classroom (CFC) - we're not the only Croatian school that is piloting the use of tablets in learning and we are definitely not among those schools where all the teachers have tablets, (but have been trying hard to get one for each teacher - to no avail yet! ), but we certainly are the only Croatian school with such a beautiful flexible learning space. 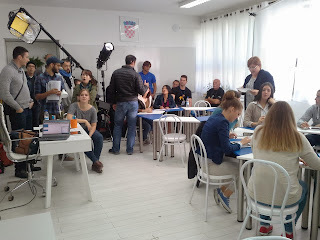 5) Learning in such an environment inspired Samsung Corporation to shoot a promotional video at my school - starring Sonja and me along with the headteacher, students, some parents and the director of CARNet. The making of the video was totally out of our world - the film crew arrived from Chicago, all those vans, our own stylist and make-up artist and so much fun. Of course, with so many enthusiastic actors, the promo video is a warm account of 21st century teaching and learning and of forward thinking. 6) This has been the third year in a row that Sonja and I led a series of webinars for matura exam candidates from across the country. 7) My collaboration with Bart was even more intensive than last year. 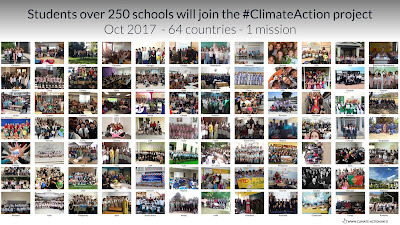 We led two learning events on the eTwinning platform during which we trained 350 teachers. 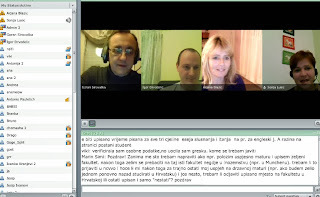 The first event was about the pedagogy in eTwinning projects, the second about education 3.0. We immensely enjoyed preparing the events and we led them with lots of enthusiasm and passion and the feedback by the participants was amazing. Bart and I gave two workshops on The Pedagogical Value of eTwinning projects at the Annual eTwinning Conference in Lisbon. The workshops evaluation was beyond my wildest dreams - out of 77 participants, 51 said that the workshops were excellent, 18 opted for very good and 8 said it was good. We also did the opening plenary at the Dubrovnik contact seminar - it was a plenary workshop, with lots of interaction from the participants, because we both believe that involving the audience is what matters.Bart and I also led the first eTwinning Twitterathon - Twitter marathon, which was highly successful. Earlier in the year we hosted a TeachMeet event and a Partners in Learning Alumni Reunion. 8) I also led the first Croatian Learning Event, along with Suzana, during which we trained 200 teachers on how to use web 2.0 technologies to develop the key competences. 9) I've done a lot of work for eTwinning Croatia as well. I gave a webinar on Online Testing Tools, a blended module entitled "The Classroom without Walls", two workshops entitled "A Little Bit of Magic with Collaboration Tools" and a plenary at the national etwinning conference entitled "Lifelong Learning just a Click away". 10) I also continued my work as edtech consultant and workshop leader (or as they may call it: Teacher Champion) for CARNet's award-winning project Schools 2.0 and Inspiring Science Education. I gave a webinar for Schoolnet South Africa about gamification, for the Living Schools lab by the European Schoolnet about flexible learning spaces, for RSCON about lifelong learning, for BaW about online testing, for AMPEU about Comenius multilateral partnerships. I gave a number of workshops about the 21st century teaching and learning for different associations of teachers and headteachers in Croatia. I hosted a TeachMeet for a European project Green Future. 11) I shook hands with the President of Croatia. and talked to the Senior Vice President of Samsung. 12) And last, but really endearing because this had been my wish for years, I made my first lip dub and, as a matter of fact, my second one, as well - in my workshops at the Dubrovnik seminar I inspired two groups of teachers to create two lip dubs - they sang Don't stop me now!